"My son and I were involved in a really bad auto accident, it was already a frightening ordeal but when your child is involved it becomes the worst! David came to our..."
"David is the best attorney I have ever done business with. He exceeded my expectations and that means a lot coming from me. Highly recommended. I will advise anybody I..."
"I endorse this lawyer. Good lawyer, good litigator, good person. If I was injured and needed representation, I would want David to represent me. That is probably the best endorsement I can give." 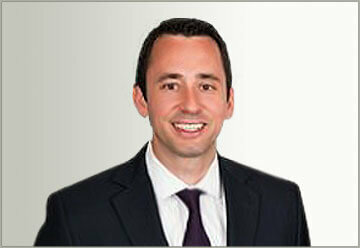 "David is a caring, personable and intelligent lawyer that achieves phenomenal results through his rigorous work ethic. I strongly endorse David!" "I've referred friends and family to David with great success. What's most important to me is that I have always received good feedback from those people that I referred. I continue to recommend his services." What Makes Attorney David A. Williams Uniquely Qualified To Defend You? David A. Williams is a partner at the firm and exclusively represents individuals and families victimized by the wrongful conduct of others and employees injured at work. Mr. Williams concentrates his practice in worker’s compensation and plaintiff’s personal injury law, including cases involving construction negligence, transportation (automobile, truck and railroad) negligence, premises liability, wrongful death and The Federal Employers Liability Act. Mr. Williams is a lifelong resident of Illinois. He is a Barrington native, attended St. Viator High School and earned a Bachelor of Arts degree from Miami University (Oxford, Ohio). After college, Mr. Williams served as an investigator for the Federal Public Defender Service in Washington, D.C., before attending DePaul University’s College of Law. Mr. Williams worked his way through law school, including a post at a prominent insurance defense firm where he started his legal career. After years representing the defense, Mr. Williams learned that his passion and talents were best served representing victims of personal injury. Since then, Mr. Williams committed to representing individuals and families whose lives have been affected by the wrongful conduct of others. His experience as a defense lawyer gives him a unique perspective and advantage when representing his clients, including a sound understanding of how insurance companies and their lawyers analyze, defend and try cases. Mr. Williams leads a new generation of trial attorneys in Illinois. From 2015 to 2017, Mr. Williams was named a “Rising Star” in the annual edition of Illinois Super Lawyers Magazine and in Chicago Magazine. Only 2.5% of the lawyers in the State of Illinois are named to this annual list. He was also named to the “40 Under 40” list of top young trial attorneys in Illinois by the National Trial Lawyers Association. Mr. Williams also has a perfect “10/10” ranking on AVVO, a well-known online attorney ranking service, and many positive client reviews. Mr. Williams is currently an active member of the legal community, including the Chicago Bar Association and the Illinois Trial Lawyers Association. He also volunteers as a Panel Attorney for Chicago Volunteer Legal Services. He lives in the Chicago suburbs and enjoys tennis, coaching and spending time with his wife and three kids. Home » David A. Williams, Esq.